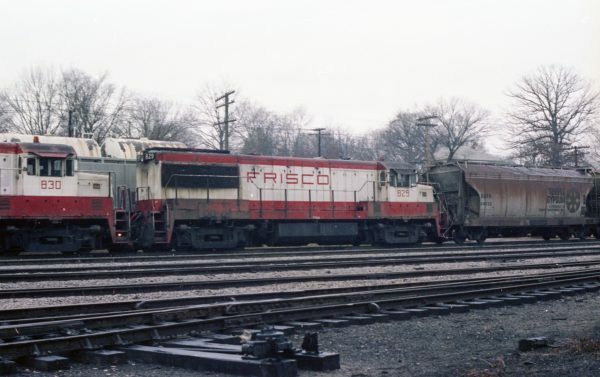 SD45 6661 (Frisco 912) at Cicero, Illinois on December 13, 1980 (Paul Hunnell). U25B 809 at St. Louis, Missouri (date unknown) (Michael Wise). GP35 715 at Dixon, Missouri on January 11, 1967 (Mike Condren). 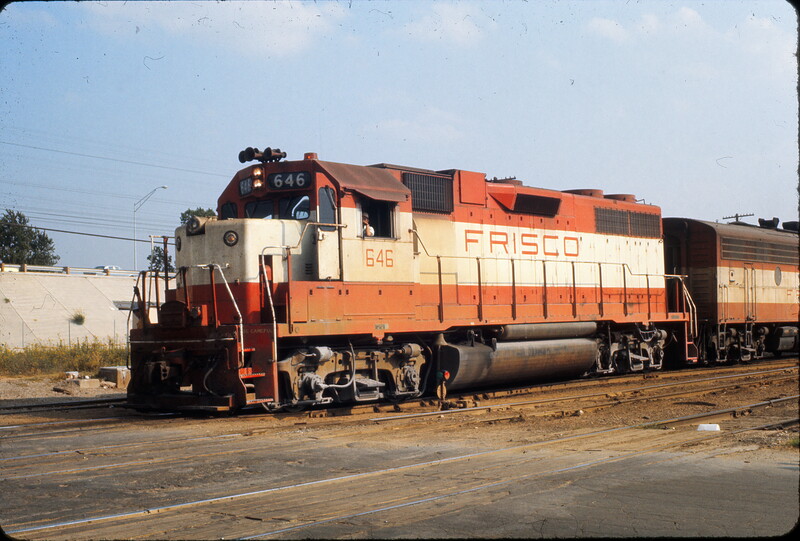 GP38AC 646 at Tulsa, Oklahoma in August 1973. 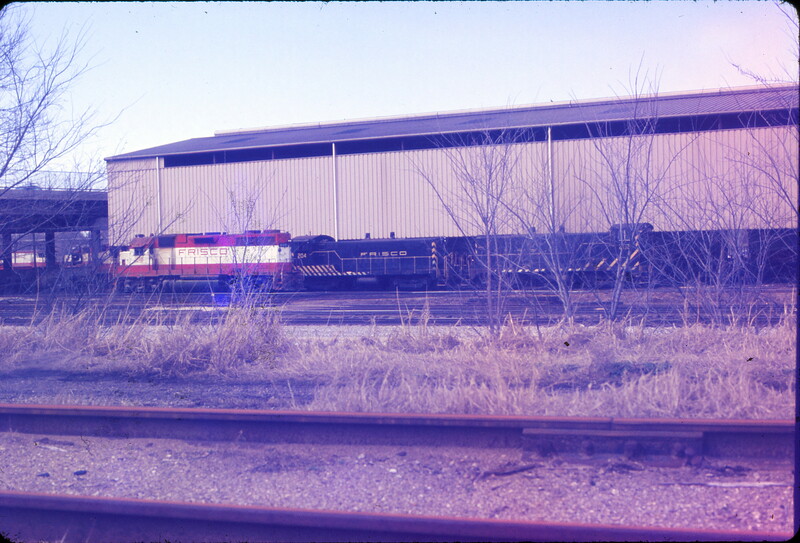 Unknown GP7 (date and location unknown). 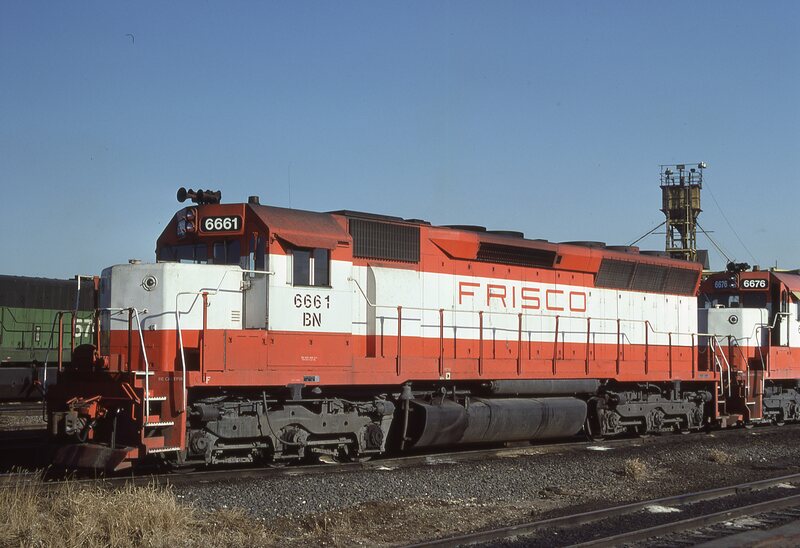 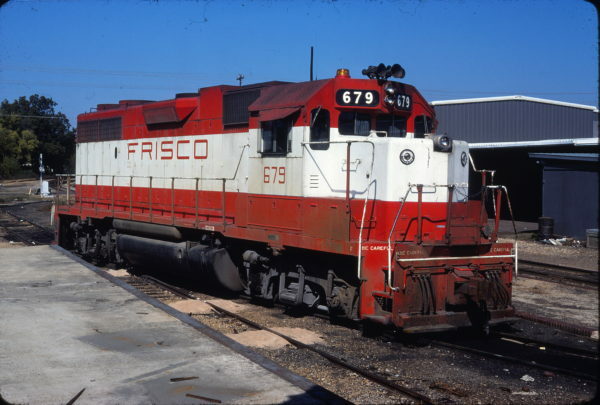 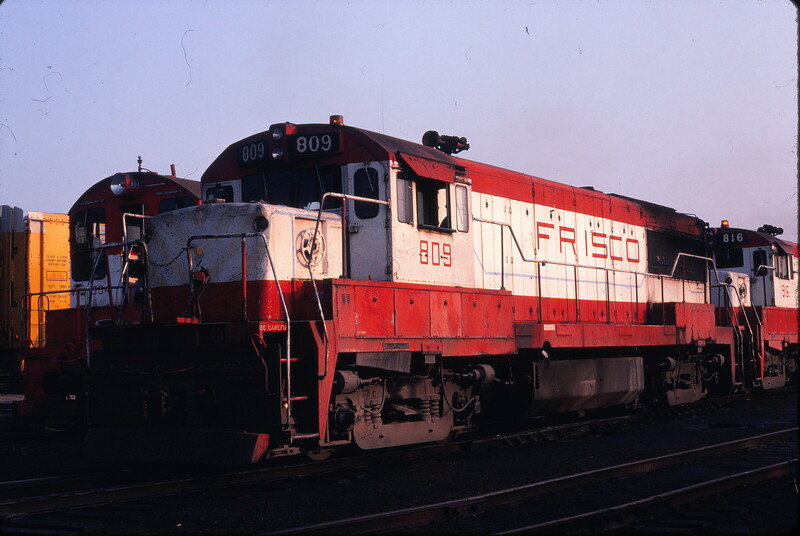 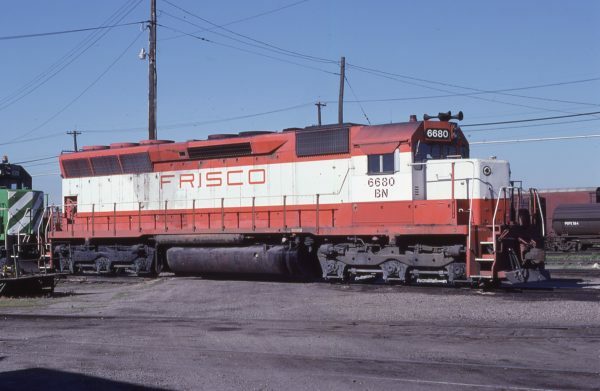 SD45 6680 (Frisco 932) at Kansas City, Missouri on May 2, 1981 (George Menge). GP38-2 679 at Columbus, Mississippi on October 17, 1976 (J. Harlan Wilson). 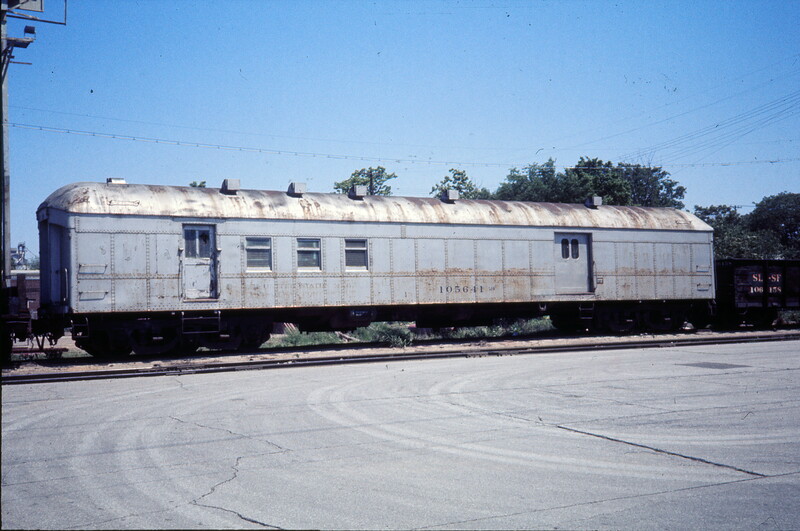 Work Car 105641 (date and location unknown). U25B 829 at Thayer, Missouri on Decmber 29, 1978 (R.R. 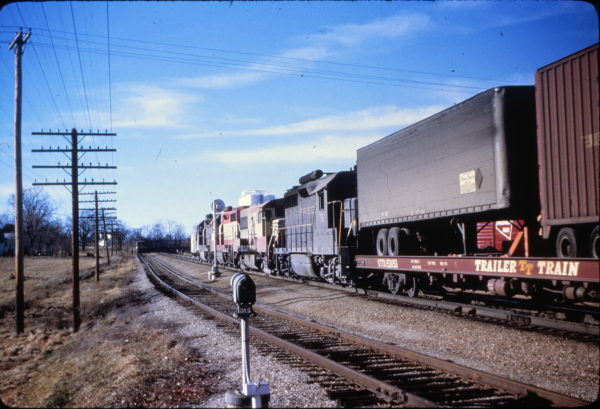 Taylor).